We are..."Committed to Building Excellence"
From the ground up, All Purpose Construction is committed to building quality products that you can call home. We use efficient building practices and implement quality controls to ensure that our homes will stand the test of time. Whether your dream home is large or small and regardless of the details involved we can guarantee that you will be satisfied with your final product. From strip centers to medical office buildings All Purpose Construction can complete the project using a variety of resources available. If you own land or are searching for land to construct your commercial project we can utilize our partnerships to help in all phases. 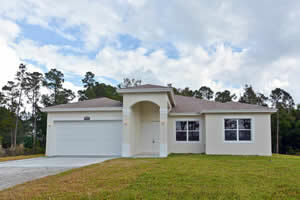 Your property will be exactly as you envisioned once we have completed construction. 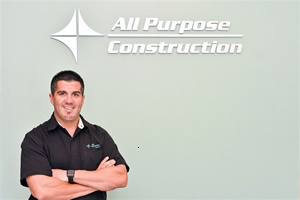 With a history in the construction industry, ALL PURPOSE has managed to team up with many reputable sub-contractors and suppliers. Many of our partners have provided outstanding service for over 20 years and some newer companies are already managing to make a lasting impression on the industry. We take pride in developing the right team for the job. We guarantee that quality and efficiency are the top priority in each build. We take pride in our work and want to provide a positive building experience for each client and home owner. "I wouldn't build a house that I wouldn't live in myself" - Chris Heine, Jr.